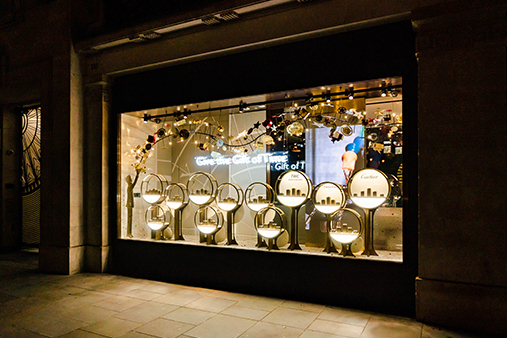 Watches of Switzerland, the largest UK distributor of luxury jewellery and timepieces, commissioned Prop Studios to develop window and in-store concepts as part of their ‘Give the Gift of Time’ Christmas campaign. 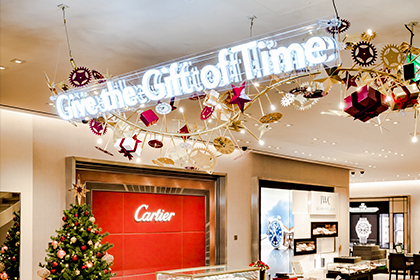 The decorative installations launched at their Oxford Street and Knightsbridge showrooms, and Regent Street Flagship – Europe’s largest luxury watch showroom. 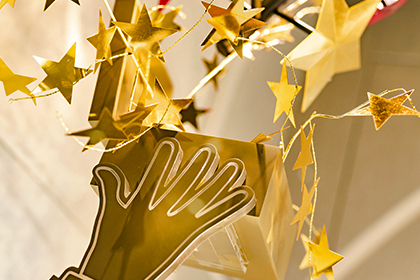 All elements were produced by Prop Studios in the UK and transported to their destination. The brand were so delighted with the results that the scheme was then rolled to their new NYC and Las Vegas locations. 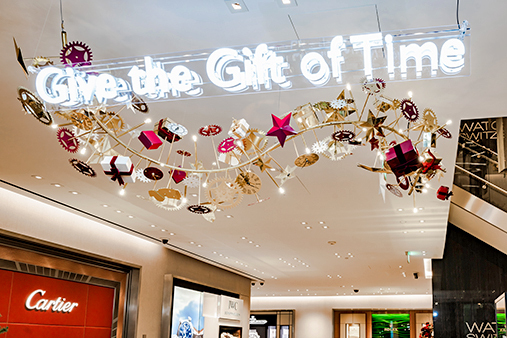 The installations unveiled a decorative representation of ‘Give the Gift of Time’. 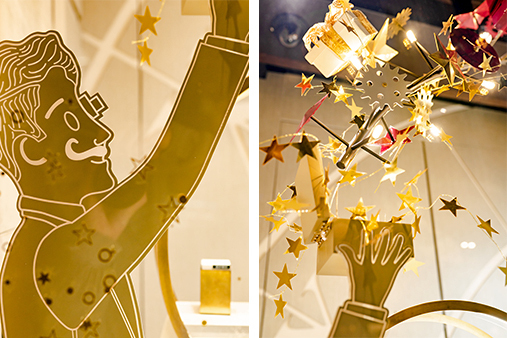 The two window installations feature a watch maker, opening his tool box and releasing an explosion of magic that flows through the display. 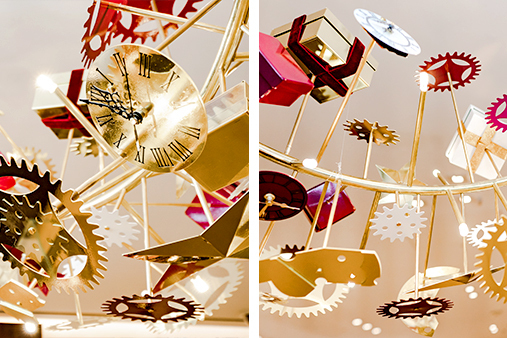 The emerging explosion consists of watch parts, including cogs and clock faces in varying sizes, some of which are mounted onto motors. 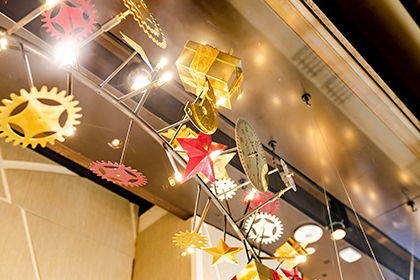 The motorized elements, including mechanical cogs and clocks set to the correct time enhance the magical aesthetic of the Christmas display. 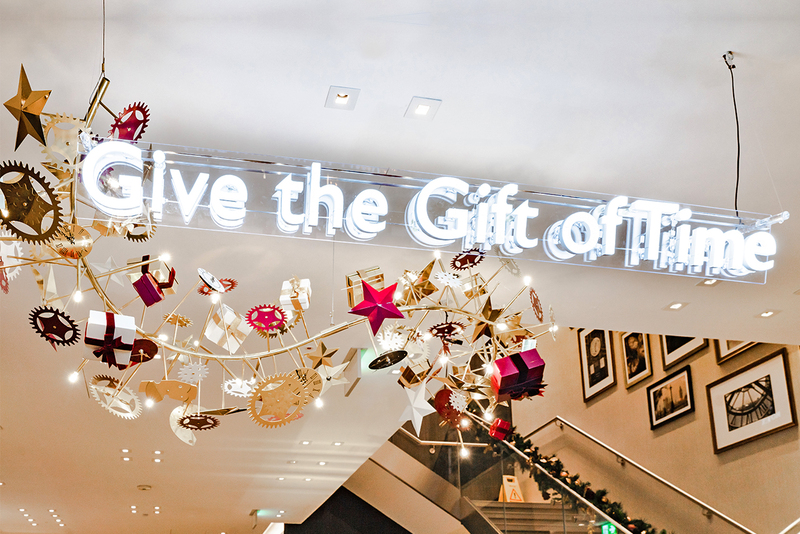 ‘Give the Gift of Time’ is suspended as an illuminated centre piece, encompassing the product display and totems beneath. The totem pods have been carefully crafted, featuring polished brass, branded back-panelling and illuminated LED. 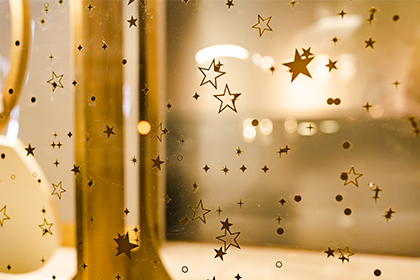 Fret cut gold stars applied externally on the glass add an extra touch of Christmas magic to the display.